Convnetjs implements deep reinforcement learning, which has famously been used to teach computers to play video games just from looking at the pixels. Google's DeepMind, the folks responsible for AlphaGo, did the original work. 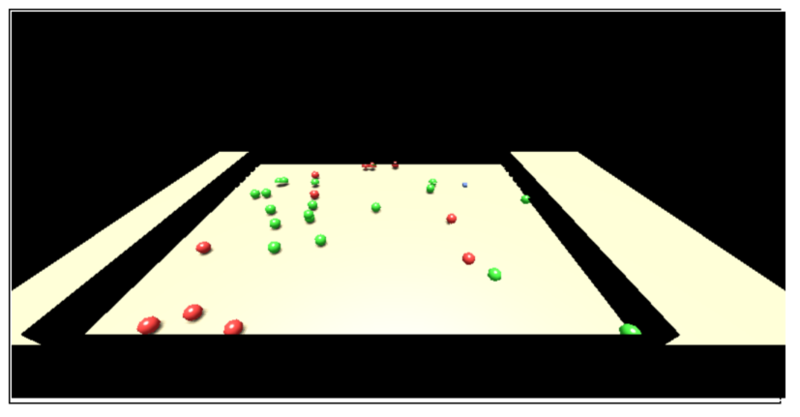 The deep reinforcement learning demo is a simple game where an agent wanders around a room, trying to pick up red balls and avoid green balls. The agent has nine antennae that register touches with walls and balls. The input to the neural net is simply the output of the nine antennae. I wanted to see what the net would do if given some "raw" pixels instead of a sanitized input. How magical are deep nets anyway? I made a three.js canvas where I render a representation of what the agent is seeing. Then I pull the pixel color values out of the canvas and pass them into the neural net, replacing the antennae's sensor values. 3D view, as rendered by three.js, and below, the pixel values that get fed into the neural net. The new pixel-based version works too, but it does take forever to learn anything — at least compared to the original. I optimistically expected it to just work without much tweaking. I probably need to understand the parameters a lot better to make it work better. 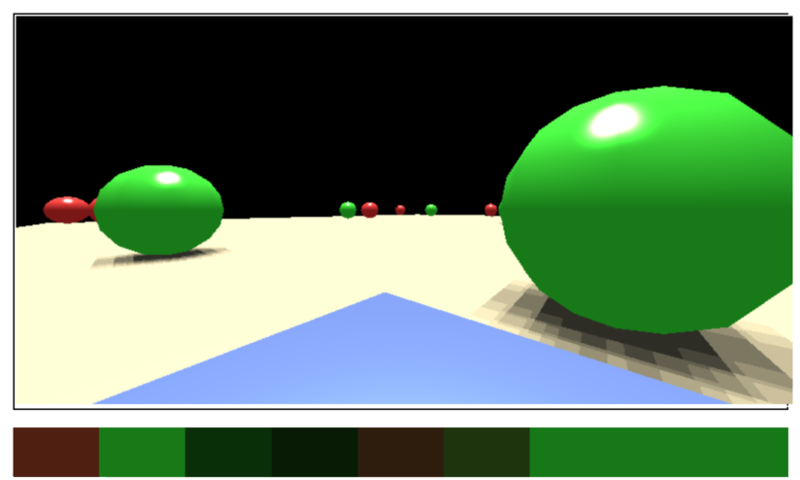 The three.js version of the demo is here (and the source here). IPython notebook is awesome, but it's still pretty immature in many ways. These are a few functions that I've found help make it a more pleasant experience. It's great to be able to make use of a retina display, if you have one. The difference in figure quality is very noticable. To use retina, just set this flag at the top of your notebook (you probably want inline plots too). IPython notebooks can look messy and disorienting. 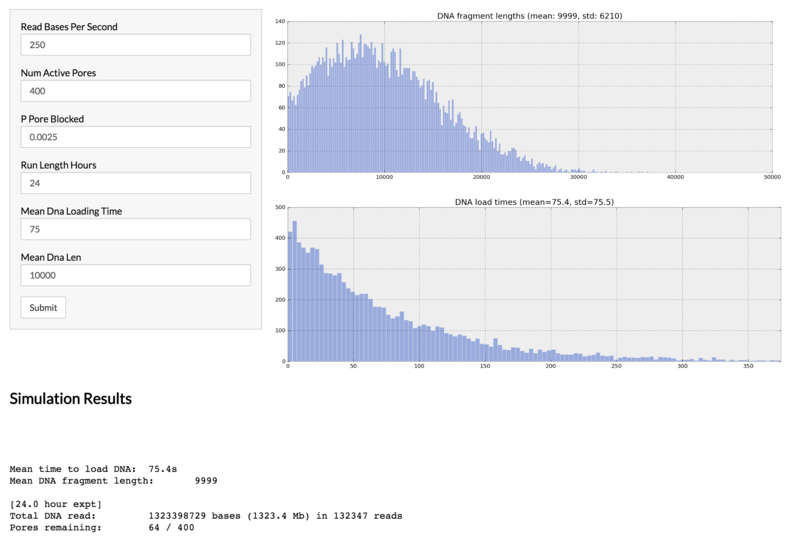 I like to include large section breaks using IPython.display.HTML. The IPython.display.Image function is very useful, but sometimes it's nice to use more of the horizontal space available. I extended the Image function to Images to allow for a table-based layout. What do you do if you want to run a command-line tool from within IPython notebook? It can get very messy, since you may need to see stdout, but it may include a lot of unformatted text, which can make your notebook very unreadable. To address this, I created my own wrapper around subprocess. I first have to set some global CSS for the notebook. There are no really good ways to do this yet, so I just call a HTML function at the top of the notebook. I then create a do_call function that runs the command-line tool (subprocess) and captures the output. The output is hidden but can be expanded using a CSS trick. It also keeps track of how long each subprocess took to run. This function also includes your environment variables from os.environ, which is often important. I also include a @contextmanager-based function that allows me to run command-line tools from within specific directories. This comes up a lot. This system was very useful for me when I was making a "pipeline" notebook, chaining together different command-line tools. """Help call subprocess with some niceties. Output to html.""" cmd = [c for c in cmd if c is not None] # ignore Nones, which otherwise would be ""
p_out = p_out if p_out != "" else "[No stdout]"
p_err = p_err if p_err != "" else "[No stderr]"
Sometimes the standard print function doesn't cut it. I have a few helper functions that make printing text a bit more flexible. I also generally use "from __future__ import print_function" everywhere, since print should be a function anyway. I use "from __future__ import division" since we'll all be on Python 3 soon enough. 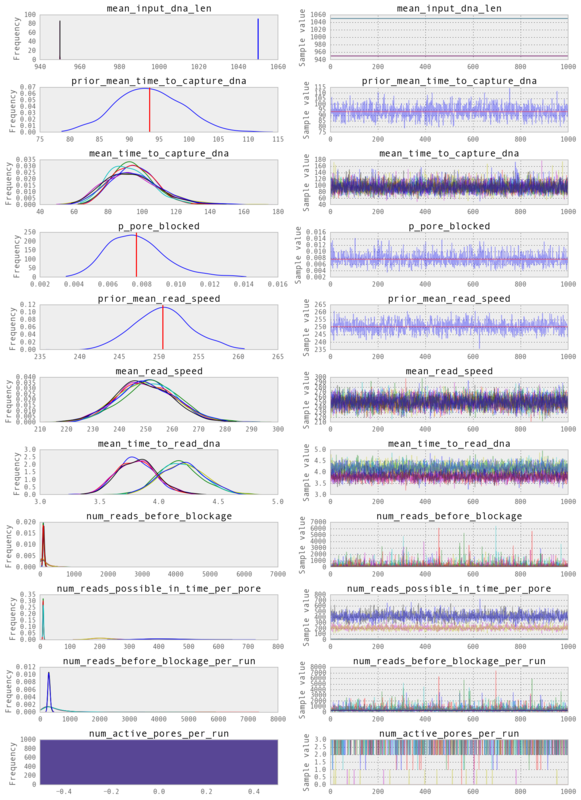 An IPython notebook exploring some Phase Ib data from Biogen on their Alzheimer's drug.